Erica is a Licensed Clinical Social Worker in the State of Georgia. She received her Bachelors Degree from Morris Brown College (Atlanta, GA) and Masters Degree in Social Work from Columbia University (New York, NY). Erica has experience working with children, adolescents and adults in a variety of settings. She has worked in hospital and school settings, as well as a variety of community-based mental health agencies. Her practice includes individual, family and couples counseling. Erica’s approach to therapy is to empower and provide therapeutic support to strengthen individuals and families to live a healthy and purposeful life. Erica will help you look at your own thoughts, feelings and actions in order to discover more effective ways to meet your needs and create a more satisfying life for yourself. Erica's areas of expertise include: Depression and Mood Disorders, Anxiety and Adjustment Disorders, Self Esteem and Teen Issues, Stress-Related Disorders, Divorce and Blended Families, School Adjustment, Survivors of Childhood Abuse, Life Transitions, Women’s Issues, Relationship Issues, Parenting Skills and Parent/Child Conflict. Erica is available for day and evening appointments. Annika is a Licensed Professional Counselor and a Certified Anger Management Specialist (CAMS). Annika received a Bachelor of Science Degree in Criminal Justice and a Master of Science Degree in Community Agency Counseling both from Jacksonville State University (Jacksonville, Alabama). Annika has worked with several mental health agencies throughout Metro Atlanta and has served in the capacity of Program Director, Program Manager, Therapist and Case Manager. Annika specializes in individual, couples and family counseling. She has a particular interest in working with adults who are struggling with life transitions, personal stress, depression and anxiety. Her additional areas of practice include anger management, relationship issues, family dynamics and child and adolescent issues. Annika primarily takes a Cognitive Behavioral approach to therapy. She believes that how we think is how we feel and how we feel is how we engage in the world around us. Annika believes in meeting her clients where they are and partnering with them to achieve their personal goals. Annika strives to create a relaxed and comfortable space in which individuals can be free to express themselves without fear of judgement. Annika works with couples, children, adolescents and adults. She is available for day and evening appointments. 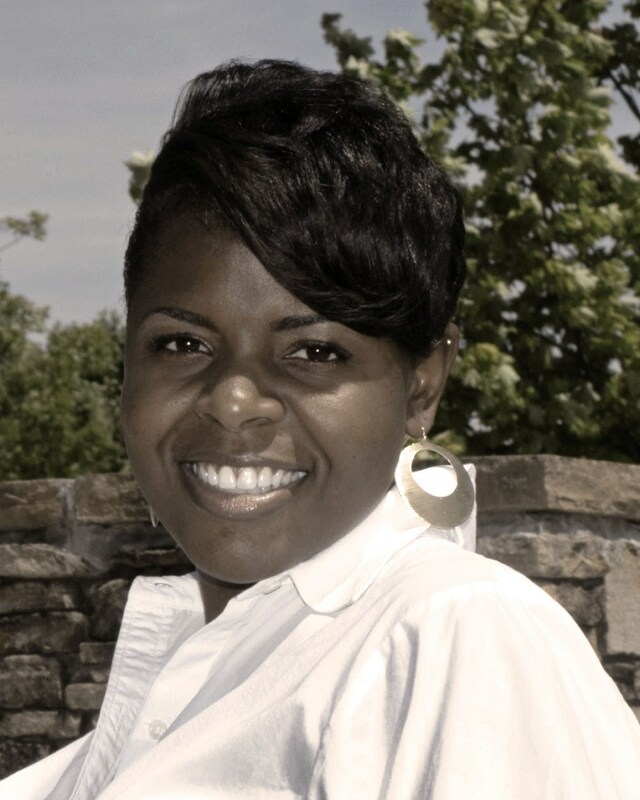 Tyrhonda is a Licensed Professional Counselor specializing in individual and family psychotherapy. She has clinical experience working with teens, adults, and families in outpatient, community based mental health, and residential settings. Tyrhonda desires to create a positive environment that will motivate and empower individuals to invest in the process towards change, embracing the idea change your thoughts, change your world. Tyrhonda has an integrative approach to therapy, utilizing cognitive behavioral, dialectical behavioral and solution-focused treatment modalities. Tyrhonda believes that clients need the skills to deal with life challenges to begin to do things differently and she seeks to empower her clients and equip them with the tools they need to move towards change and lead a more fulfilling and productive life. Tyrhonda’s areas of expertise include: depression and mood disorders, anxiety and adjustment Disorders, self esteem issues, PTSD and trauma related issues, anger management, oppositional defiant disorder, life transitions, family therapy, teen issues, group therapy, parenting skills and parent/child conflict, skills training. 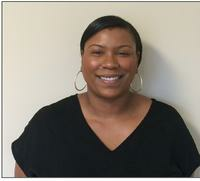 Tyrhonda works with adults and she is available for evening appointments. Tom has been a Licensed Professional Counselor in the state of Georgia since 1994, and prior to that he was licensed in the states of Ohio and Iowa. Tom received his Bachelor’s Degree in Psychology from the University of Georgia and his Master’s Degree in Counseling Psychology from West Georgia College. Tom is a member of the LPC Association of Georgia and the Association for Humanistic Psychology. He has over 30 years of professional experience both at inpatient and outpatient settings. He has worked as a clinical psychologist in several hospitals and in a variety of outpatient clinics and practices. He was a Senior Clinical Care Manager for a large managed behavioral healthcare company for 20 years. Tom has had training, experience and expertise with a variety of treatment approaches, but his primary approach is to provide the tools and to teach skills that a person can use to improve his or her level of balance in regards to mental, emotional and physical health and functioning. Underlying whatever counseling technique Tom may use for any specific issue is a compassionate humanistic recognition of a person’s individual experiences, rights, human dignity and individual differences. Tom is a military veteran and has had significant experience working with combat veterans and their families. He spent many years providing treatment, education and training for PTSD, trauma and disaster recovery. Tom uses a variety of treatment types, depending upon the needs of the client. These include Cognitive Behavioral Therapy, Person Centered Therapy, Behavior Modification and techniques, stress management, anger management training, relaxation training, systematic desensitization and guided imagery. He has many years of experience working with individuals, couples, families and group psychotherapy. As an adoptive parent, Tom (and his wife) have personal experience dealing with adoption and attachment issues. They also have two biological children. Tom has also provided evaluation and treatment for other populations including victims of childhood sexual abuse, chronically mentally ill and the homeless. Tom is an open, receptive and respectful therapist, who focuses on the client’s assessed needs and how he and the client can work together in a collaborative manner to begin the process towards useful, practicable, and sometimes common sense methods of overcoming difficulties, healing, and improving overall functioning and well-being. Tom works with older adolescents and adults. He is available for day and evening appointments. Dr. Ragsdale is Licensed Professional Counselor, Energy Practitioner, Psychotherapist, Group Meditation Leader and BioMat™ provider. Dr. Ragsdale has over 20 years of experience working with pre-adolescent, adolescent, and adult populations. 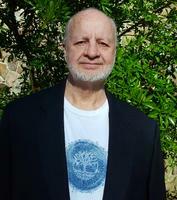 Dr. Ragsdale uniquely combines standard psychotherapy with energy healing techniques based on Reiki and Qigong principles. These sessions are designed to help the client develop a Self-Care Plan to apply life-changing principles for better physical, mental, and spiritual well-being. Dr. Ragsdale is also fully trained in Marriage and Family counseling with many years of experience counseling couples and families. Dr. Ragsdale holds a Masters Degree from Georgia State University in Counseling and a Ph.D. degree from La Salle University in Psychology. He has nearly 15 years of experience as a full time and Adjunct Professor of Psychology, Human Development, Social Psychology, and Human Relations at Clayton State University, Chattahoochee Technical College, and Atlanta University. Dr. Ragsdale has received a number of special certifications including, Emotional Trauma and PTSD, Clinical Hypnosis, Domestic Violence, Grief and Loss, Thought Field Therapy Level II, Breath Therapy, TheoPhostic Christian Counseling, Reflexology, Reiki Level 1, Marriage Enrichment, Divorce Meditation, and Positive Parenting. Dr. Ragsdale meets the client "where they are" with a combination of Cognitive-Behavioral and Experiential modalities. His comprehensive approach helps clients better understand their thinking patterns and assumptions, change their behavior responses, and release and heal their emotional states. Dr. Ragsdale uses many techniques with couples to improve communication, identify fears, mediate solutions, and enhance reconciliation, which leads the couple toward a renewed and reconnected relationship. He brings experience from his own 45 year marriage to each session. Scott works with couples, adolescents and adults. He is available for day and evening appointments. Tiara is a bilingual (Spanish) Licensed Marriage and Family Therapist in the state of Georgia. 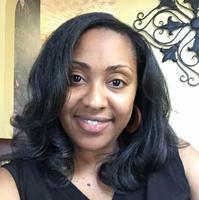 She received her Bachelors Degree in Psychology from Georgia State University (Atlanta, GA) and a Masters Degree in Marriage and Family Therapy from Mercer University (Macon, GA). Tiara has experience working with children, adolescents, adults, and families in both outpatient and inpatient facilities. She has worked in several community based mental health agencies and hospitals. Tiara believes therapy is often sought when an individual is feeling stuck and is seeking an alternative view to their circumstances. She strives to provide guidance and encourage people to discover and create new stories about their life experiences to avoid destructive patterns and self-defeating thoughts/behaviors. Tiara’s theoretical orientation includes Person Centered Therapy, Cognitive Behavioral Therapy, Family Systems, Solution Focused Therapy and Narrative Therapy. Tiara specializes in family dynamics and helping to bring balance to the family system as a whole. She has a particular interest in working with adolescents experiencing low self-esteem and parent/child conflict. Another primary area of interest is families navigating the challenges of divorce and separation. Tiara has experience with matters consisting of: depression, anxiety, grief, ADD/ADHD, parenting, relationships, anger, and trauma. She is available for weekend appointments. Rhondell is a Licensed Professional Counselor in both Georgia and Missouri. He earned his Bachelor's degree in Psychology from the University of Missouri-St. Louis and a Master's of Education in Professional Counseling from Lindenwood University. He has experience working with adults, adolescents, children, and families. Throughout his career, Rhondell has worked in a variety of community based organizations and in private practice. He has worked in the areas of crisis management with children in the foster care system as well as working with low to moderate income families and the many challenges they face. Rhondell is particularly skilled in the areas of depression, anxiety, anger management, family conflict and working with difficult to reach adolescent males. He is also trained in providing couples counseling, both pre-marital and marital. 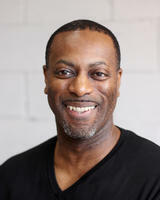 Rhondell assists clients in achieving their personal goals by helping them to analyze their own thoughts and feelings and working toward a greater sense of purpose and satisfaction in life He is task-oriented and service driven with a fervent commitment to supporting the well-being of his clients. Rhondell works with couples adolescents and adults. He is available for day and evening appointments.